An Independent Educational Counselor (IEC) is an individual who is independent of high schools or colleges and are hired privately to provide expert college counseling assistance, working in the best interest of families. Reputable IEC’s belong to professional organizations such as Independent Educational Consultants Association (IECA) and/or Higher Education Consultants Association (HECA). IECs must meet membership qualifications while abiding by the organization’s Principles of Good Practice. In addition, many IECs have high school setting work experience (12 years myself) and may also belong to the National Association for College Admission Counselors (NACAC) and/or their local state affiliates, such as the Illinois Association for College Admissions Counselors (IACAC). To become a professional member of IECA, a consultant is to have visited a minimum 50 college campuses. Just as it is important students visit a college campus, an information session and tour allows an IEC to feel the atmosphere in and around the quad, interact with students to understand social life and feel the vibe of the campus. This firsthand knowledge is something that cannot be gained by perusing brochures, browsing websites, or hearing the facts/figures from admission representatives at college fairs. This is valuable information that an IEC has the time to learn, not just during summer vacation, but while college is in session. According to IECA, an IEC spends visits an average 22 college a year. I personally have visited over 150, 3 already this year, and 3 more in the coming days. The U.S. Department of Education states the student to counselor ratio is 467:1. How can a school counselor find the time to individually meet with each senior to discuss their future plans, find the best fit college, brainstorm/edit essays, assist with the FAFSA/CSS Profile, give them a ‘high five’ when they receive an acceptance letter and give them a big “I’m proud of you!” when they announce on May 1st where they will attend? An IEC typically works with a smaller caseload. IECA states this is an average of thirty high school students, not just seniors. This allows each IEC to personally develop a relationship with each family. An IEC is also readily available via email, text or call for quick questions, or can easily schedule appointments to meet with parents and/or students who have concerns, are stressed or would like to complete ‘just one more essay.’ In the very competitive college admissions world, having someone behind you, helping to guide the process is priceless. To learn more about Tom, visit my website or contact me. May 1st is around the corner and that means high school seniors must send their housing deposit to the college of their choice. If a student fails to inform a school by this date, colleges will no longer guarantee their admission. Here are a few tips for a high school senior to make a proper decision on which college to attend. As an 18 year old high school senior, it is hard to imagine making a decision that will impact the next four years of their life. The first step to make sure the school is the proper social fit. Having hopefully already visited campus, this on-campus experience should have provided the student enough knowledge to make an informed decision. But can the family envision the student on campus, participating in the activities in the quad, eating in the dining halls or sleeping in the dorms rooms? If they can, this is a good sign. If they cannot, perhaps a last minute follow-up visit to the campus might be in order. By now, the soon to be college freshman has received a plethora of acceptance letters and financial aid awards. Reexamine each of the acceptance letters and financial aid awards and ask yourself, “Can I afford to send my son/daughter to this school?” If the answer is a clear cut yes, then compare each of the school’s finances together. Think about the programs they offer and your likes/dislikes about each school to make a proper decision. Select the school that you feel is the best fit for your family. How many loans will the student have to take out? What will the final amount of loans be when the student graduates in four years? Can my son/daughter receive the same quality education at a school that is not their first choice, but offering more in terms of financial aid? Is the scholarship they are receiving a one year scholarship or renewable for four years? What are the qualifications to be renewed? These are important questions to discuss as a family as May 1st will be here soon. such as the Colgate Raider! Many high school seniors are afraid to leave their comfort zone. Many adults are like this too; it is only natural. Making their college decision based upon where their friends will be attending is not a recommended way to make a decision. With Facebook, Twitter, text messaging, Skype/Facetime and email (snail mail to teenagers) students will easily be able to keep in touch. This is a great time for students to learn to think for themselves, be an individual and make an adult decision. They should choose the college that best fits themselves academically, socially and financially; not those of their friends. Young adults are resilient, they will be able to find their routine by keeping in touch with their high school friends while also making a campus full of new ones. Post a comment regarding your college acceptance experience! If you have questions regarding the college process, contact us. What Goes Into a Financial Aid Award Package? As colleges begin to send out financial aid award letters, now is as a great time to discuss financial aid. Listed below are four types of ‘awards’ typically found on a financial aid letter. Scholarships are awarded for various lengths. Make sure to investigate their stipulations. Regardless the length, scholarships do not need to be repaid to the school. Pell Grant: Up to $5,920 (for 2017-18 school year) to students who demonstrate financial need. Federal Supplemental Educational Opportunity Grant: In addition to the Pell Grant, this award is up to $4,000 for families that demonstrate exceptional financial need. Students work an on-campus job and earn a specified amount. There are ample opportunities reserved for federal work-study students in places such as the admissions office, school cafeteria or recreation center. Students cannot earn in excess of the amount offered on the award letter. To defray the remaining cost of attendance, colleges will most likely package loans into the award letter. The are three types of main loans. 10 year repayment period Accruing interest is paid by the Department of Education until 6 months after a student leaves school. Loan limit is $3,500 to $5,500, depending upon the year in school. Borrower is responsible for all interest, which accrues immediately. 10 year repayment period on this loan (including accrued interest) does not begin until a student leaves school. Award amount is up to $2000 a school year. The interest rate is slightly higher, but generally lower than a private loan. Maximum amount borrowed is the cost of attendance, minus any financial aid received. When comparing financial aid award letters, do not compare the actual awarded amount. Compare the financial commitment between schools and the amount of loans the family will have to repay. If you have questions regarding your family’s financial aid award letter or how to prepare for the rising cost of college, contact us. The term gap year came into America’s mainstream vocabulary last year with Malia Obama’s announcement that she will delay her entrance into Harvard until Fall 2017. 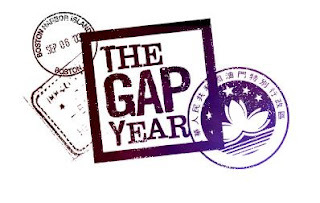 An Australian and European mainstay, the gap year means an academic year spent between high school and the start of college to pursue enrichment opportunities. Research a passion in its actual setting. The life experiences gained can make students better prepared not only academically, but socially as well for college. Working can not only begin a professional resume, but can help earn money for college, taking the pressure of tuition or other college costs. Students get the chance to experience life away from home before starting university through travel, experiencing a new culture(s) or being immersed in a new language. Taking part of an organized gap year program, traveling across countries or living in a new city can be expensive. College financial aid packages may be changed as families will have to once again complete the FAFSA. Do students just want to travel? Perhaps they can consider cheaper alternatives while accruing college credits through college study abroad programs. For students who fail to develop important organizational habits, it might be easy to lose focus and fall out of the academic routine. A poorly planned gap year may mean a year spent binge watching Netflix. While a gap year between high school may not be for everyone, neither is immediately attending college. Perhaps some of these options can be used as an extended summer break while in college, explored during a study abroad semester, or done prior to entering the workforce/graduate school. If you would like to further explore Gap Year options, here is a recommended website. If you would like to find out more about Gap Years, or anything college related, contact us. Keep in mind, not all scholarships can be only won by seniors. 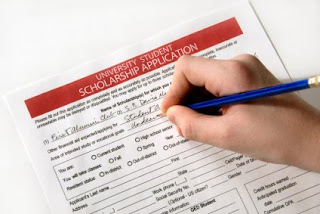 Many times any student can apply for the scholarship, with the money either being held and sent to the future school of choice, or paid to the family with the expectation it be used for college. Check the ‘rules’ of every application. The easiest answer is never! Why stop when most colleges allow for ‘stackable’ scholarships? This means any outside scholarship brought to the college will be ‘stacked’ on top of the financial aid package awarded. Keep in mind, smaller scholarships may have a smaller applicant pool because students do not feel these are worth their time. A few of these smaller scholarships will add up to a larger scholarship! Remember, you cannot win unless you try. Last September, President Obama announced his plan for earlier college financial aid. This means that families can now begin the FAFSA on October 1st. What is the FAFSA? It is the Free Application for Federal Student Aid. It is a government form that determines a family’s Expected Family Contribution (EFC) and is used by colleges as a gateway to financial aid. Beginning this year, families will be entering ‘Prior-Prior Year,’ or PPY, tax information. This means if you will be attending college in the Fall of 2017, you will enter the tax information from two years previous, or 2015. This will eliminate the need to estimate your income and re-enter the information when your taxes are complete. Families will first need to create a FSA ID to access accounts such as the FAFSA and Federal student loans. This site will also serve as a student and parent’s online signature (each have to create one). Once this is complete, on October 1, families can begin using the IRS Data Retrieval Tool (DRT) to upload tax information to complete a significant portion of the form. Additional information required include: balance of cash (savings/checking account), trust funds, 529 accounts, stocks, bonds, certificate of deposits, and other forms of ‘liquid’ cash, along with the number of children that will be attending college concurrently. • With the use of prior-prior year tax information, the need to ask for a financial review to financial aid office should rise. This should not be taken as a negative. Circumstances will change over a year’s time, allowing families to easily document changes in their financial situation to college. This Memorial Day weekend will mark the 100th running of the Indianapolis 500. In honor of the “Greatest Spectacle in Racing,” I felt it was only appropriate to write about Saint Mary-of-the-Woods College, located just outside Terre Haute, Indiana. How many colleges can boast they have a saint on their campus? SMWC has a shrine, which includes the remains of Mother Theodore Guerin, in the Church of the Immaculate Conception. Saint Mother Guerin emigrated from France in 1839 at the request of the Diocese of Vincennes, Indiana. Along with 5 other French nuns, she set roots outside Terre Haute, Indiana to minister. Her accomplishments include founding a new religious order (Sisters of Providence) and numerous schools in the Indiana/Illinois area, including the eventual Saint Mary-of-the-Woods College. She has been attributed to two miracles, one taking place in the church itself, allowing her to be canonized a saint in the Roman Catholic Church in 2006. St. Mary-of-the-Woods College is Indiana’s oldest Catholic college. It was founded in 1840 by Saint Mother Theodore Guerin, founder of the Sisters of Providence. The school is still run by the congregation with nearly 300 sisters residing on campus grounds. In 1984, the campus began offering co-educational graduate school programs and in 2015 began offering men the opportunity to enroll in their campus based programs. The campus also has a vibrant online education program. The SMWC ring is the most recognizable image of the college. The tradition began as a way to honor the academic success and sacrifice of the students, while showing their pride and loyalty to SMWC. There are two ceremonies connected with the rings. Ring Day occurs during junior year where the students are bestowed their rings. The other is the Oakleaf Ceremony where students are inducted into the alumnae association by turning their rings around, such as an acorn turns into an oak tree. By now, you have been reading this post and still wondering, where is the Indianapolis 500 connection? 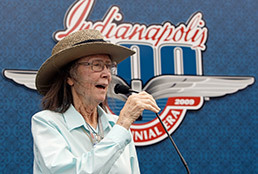 The School of Equine Studies is named after current Chairwoman of the Indianapolis Motor Speedway, Mari Hulman George. Ms. George, along with her mother, Mary Fendrich Hulman, are alumnae of SMWC. At SMWC, women can pursue two paths in Equine Science: General Studies or Equine Training & Instruction. The General Studies program allows students to explore different areas of equine study through a variety of courses. The Equine Training & Instruction major is for students to become either a trainer or instructor of horses. Throughout the coursework, students are exposed to different philosophies, techniques and approaches to training and instructing. These courses can be designed specifically for either training or instructing, or a combination of both. When you are watching the Indianapolis 500 on Sunday and hear Mari Hulman George command, “Ladies and Gentlemen…Start Your Engines!” make sure to think of Saint Mary-of-the-Woods College. If you would like to know more about Saint Mary-of-the-Woods College, or other colleges or equine programs, contact us. Showing a college you are smitten with them. Having no contact with a college until you apply for admission. That is the difference between Demonstrated Interest and a Stealth Applicant. What does it mean to demonstrate interest to ensure one is not a stealth applicant? The best way to demonstrate interest in a college is to visit campus. This will be two hours at minimum. Often times, your visit is extended to lunch in the cafeteria, meeting with an admissions representative, talking with a professor in an academic discipline of interest, and/or sitting in on a class. Make sure to register so the school is aware of your visit. This is especially important if the campus is accessible by car. Colleges want to know you took time to learn more about their campus. Now that you provided your email address to colleges, your inbox will be cluttered.. Do not just hit delete, open them! Why? Blast email technology allows schools to track if emails have been opened or links clicked. This shows extra demonstrated interest because colleges can now determine levels of interest. This only takes a minute, so click on the email to help your chances of admission. This might be the hardest of all the ways to show demonstrated interest, but admissions representatives want to get to know their potential students. This is easier at a smaller college because of the fewer amount of applicants. At a large school, make yourself stand out. 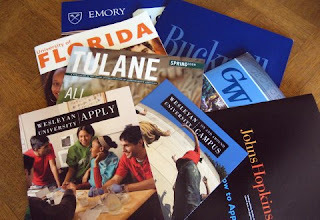 Be polite and reintroduce yourself to admissions representatives when you see them at college fairs or in your school. Send thank you emails and most importantly, make sure to accept as many invitations as possible. Many times colleges will have local events and invite prospective students. Attend and reintroduce yourself. Why Do I Need to Show Demonstrated Interest? Finally, fit is about showing mutual interest and respect. We work hard to get to know prospective students, and we ask that they work hard to get to know us, too. Students who have engaged with us on campus, at college fairs, and via email can more confidently say that they fit at Sewanee—and we can more confidently agree with them. What does this mean? Increased chances of acceptance for borderline students and potentially more in financial aid. Colleges want to admit students who will accept offers of admission. Developing a rapport will allow admissions representatives to state your case to the admissions committee and financial aid office. If you interested in learning more ideas on how to show ‘demonstrated interest,’ contact us. Make sure to ask thought provoking questions that will elicit an honest response. Most people will speak freely about the school, campus and students. Admission’s representatives understand that not everyone is the proper fit for their campus. The tour guide is a great source of knowledge. They can discuss why they choose that particular college, the type of students on campus, programs, extracurricular activities and even the things they would like to change about the school. Lastly, do not forget to have your student write ‘thank you’ notes to all the people they met. The first step of the college search is to navigate rows upon rows of colleges at a large fair. Here, admissions representatives from across the country gather in one place to promote their schools. Time your time, speak to as many schools as possible and collect brochures. If you can receive an advanced list of attending colleges, game planning will be easier. Highlight the schools of interest, then conduct some research. Arrive early and be prepared to ‘attack’ these schools. The lines will progressively get longer as the night wears on, so speaking to the representatives in the beginning will maximize your time. ‘Practice’ with a non-target school to learn what admissions representatives are discussing, promoting and asking. This will provide an idea of the ‘lingo,’ ultimately preparing you for your target colleges. As suggested, conduct some research. Hopefully you have written down notes and highlighted areas to further discuss, such as “tell me more about your Co-Op Engineering program” or “what kind of research opportunities are there for freshmen?” Do not ask basic questions that can be found in brochures or online. You may only have a minute to talk because of the crowd, so make it worthwhile. Ask specific questions about programs, opportunities or curriculum and put these answers next to your researched notes. Do not be shy, this is your opportunity to find out if you are a fit for this college. Most colleges log the amount of contact you will have with them. This exchange can be a request for information, college fair visit or a campus visits. Thus provide your information to colleges if they ask. Yes, you will receive stacks upon stacks of brochures and your email inbox will be cluttered. In the end, it may be worthwhile because colleges want to ensure they accept students who are generally interested in attending their school and not applying for the sake of applying. Colleges may not divulge this, but scholarships opportunities may be increased if the schools have known of your previous interest. Schools might boost your financial aid package to ensure you will accept their offer of admission. If colleges send an email, make sure to open it and occasionally click on a link, they are monitoring! Going along with demonstrated interest, make sure to ask the admissions representative for a business card. In the next few days, send them an email thanking them for their time answering your questions, what you thought was interesting about their school and to keep you informed to upcoming campus or local events. Make it short and sweet, but long and intelligent enough to make an impression. One last bit of advice. If you cannot attend your local college fair, do not fret. You will most likely be welcome at other school’s college fair. If you would like to know more about visiting a college fair, contact us. For a list of Chicagoland college fairs, click here.